I previously blogged about the opportunity to have your say on the proposed site for the new Integrated Transport Hub. A number of locations were proposed and following a detailed consideration of the issues, including the consultation feedback, the City of Cardiff Council’s Cabinet will on Monday consider a proposal to locate the new interchange at Central Square, on the site currently occupied by Marland House and an NCP Car Park. It is proposed that the new interchange will form part of an enhanced gateway to Wales at Central Square, providing a world-class gateway into our city, interlinking travel by train and bus, as well as providing pick-up and drop-off areas ensuring easy access for cyclists, taxis and pedestrians. 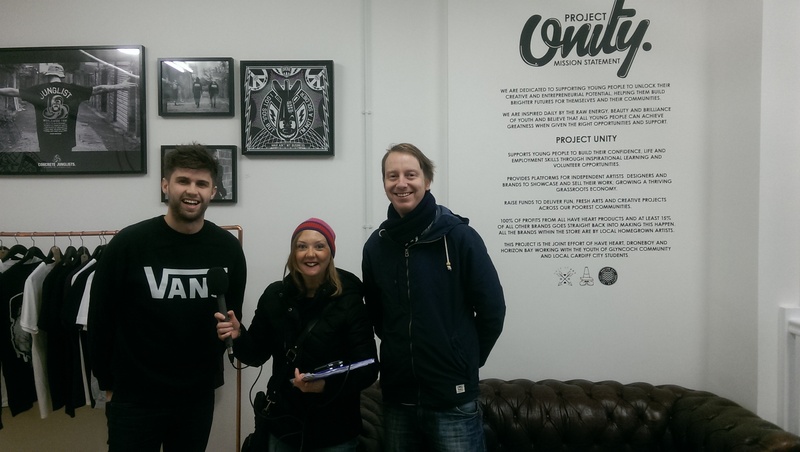 This week I was invited to talk on BBC Radio 4 about pop-up shops in Cardiff. Pop-up shops or flash retailing is about opening short-term sales spaces in vacant areas and a recent survey placed Cardiff as the number one location for pop-up retailers in the UK. They are excellent examples of “Meanwhile” use of space, as people creatively use empty buildings and areas of the city. It’s estimated that Pop-up shops contributes £2.1bn to the UK economy every year. In the survey conducted by economists from Centre for Economics and Business Research (CEBR) and communications giant EE, Cardiff was found to make good use of vacant retail units, which reflects the creativity of the city, and the energy of people who live here. The interview will feature on BBC Radio 4 on 22nd December at 12.15pm. Along with the Cardiff Business Council, WalesOnline and local filmmakers, the City of Cardiff Council has been involved in supporting an innovative film making project. “Cardiff Unscripted” is all about a series of unique short films which capture the distinctive character of our city. Each film focuses on different aspects of Cardiff, such as the diversity of our communities, as well as its sights and sounds. The five films which will be produced over the course of 9 months include; a comedian’s A-Z tour of the city, a profile of a funky pop-up restaurant business, a short documentary of the revived Butetown Carnival, a young singer who is destined for big things and a modern dance piece. Below you can see one of the videos where Gareth Jones, CEO of Welsh ICE makes presentation at Ignite on why he loves Wales’ capital city. This is a great example of our co-operative values at work. The voices of people and communities are coming together to tell Cardiff’s story whilst at the same time contributing to the branding of the city. Not only will these stories be shared across Wales and the UK, they will also be viewed by people in other European Atlantic Arc Cities, such as Dublin, Faro, San Sebastian and La Rochelle as part of the AT Brand project.